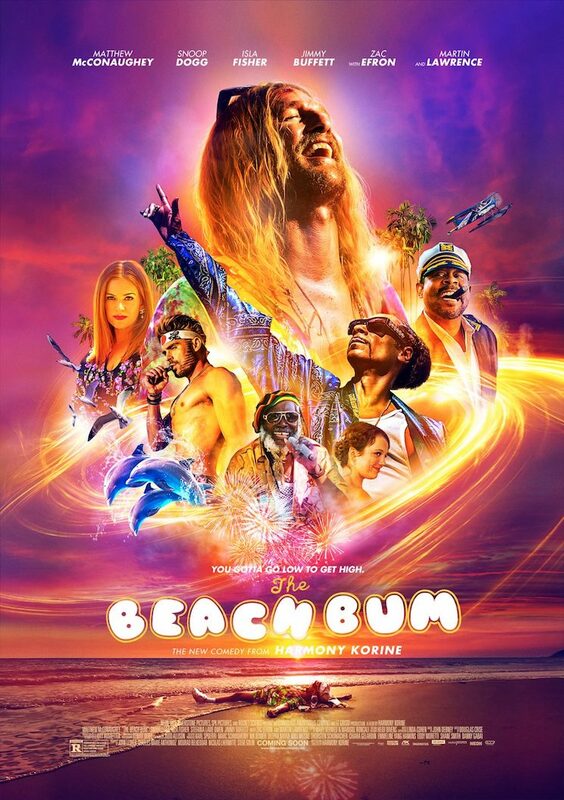 We've seen some pretty intense teasers of Harmony Korine's long-awaited new comedy The Beach Bum, but today's new treats suggest the film will be the exact absurd, maximalist disaster we were hoping for. Today, the first trailer for the film has dropped. In its two and a half minutes, we see some semblance of a plot (Matthew McConaughey's stoner poet character has to finish his novel), but it's mostly a collection of shots that depict extreme sun-kissed debauchery. That's also the case with the film's woozily colourful poster, which is either rock-bottom or the dawn of a new era for graphic designers everywhere. We'll let you decide. Watch the trailer for The Beach Bum below. The film arrives in March.